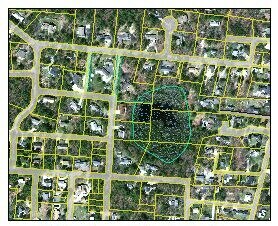 MassGIS' standardized "Level 3" assessors’ parcel mapping data set contains property (land lot) boundaries and database information from each community's assessor. The data were developed through a competitive procurement funded by MassGIS. Each community in the Commonwealth was bid on by one or more vendors and the unit of work awarded was a city or town The specification for this work was Level 3 of the MassGIS Digital Parcel Standard. As of October 30, 2013, standardization of assessor parcel mapping for 350 of Massachusetts' 351 cities and towns has been completed (data for Boston are not part of this project and are available from the city). 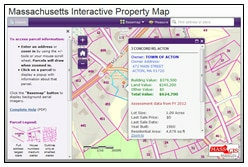 MassGIS is continuing the project, updating parcel data provided by municipalities. See the L3 Parcel Fiscal Year Status Map. This layer replaces the legacy Level 0 and Level II parcels. MassGIS has assembled information and resources for those interested in maintaining standardized parcel mapping. 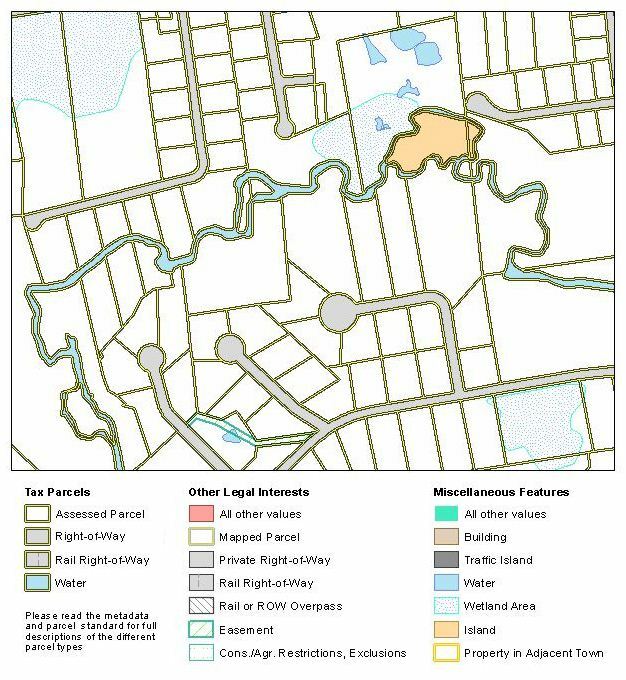 The standard establishes requirements for how parcel boundaries are compiled. It also requires creating a few attributes in the TaxPar and OthLeg feature class polygons that are unique to the standard. In addition, the standard requires that a minimum selection of information from the assessor's database be included in a separate database table that can be linked to the parcel polygons. Finally, the standard establishes very high percentage requirements for what percentage of parcels link to an assessor tax list record and vice versa. One of the primary objectives in developing Level 3 in Version 2.0 of the digital parcel standard was revising the data model to eliminate situations in which one tax listing links to more than one polygon on the assessor’s map. Sustaining this approach will, ultimately, depend on embedding a unique parcel identifier from the standard (the LOC_ID attribute) directly in the assessor tax list database. Conversations with the four primary assessing database software vendors in Massachusetts indicate that embedding the LOC_ID in this manner can be accommodated in their existing database structures. It always has been necessary to link multiple tax listings with one polygon (the most common example being condominiums), and the standard continues to model that relationship. TaxPar Feature Class (“tax” parcels) – this feature class comprises polygons or multi-part polygons, each of which links to one or more assessor tax records (unless it is a feature for which a tax record has not been established, i.e. public right-of-way, most water, etc…). In situations where two or more contiguous parcels have common ownership, the internal boundaries of these parcels have been removed, creating a single polygon corresponding to the tax listing that it represents. Where two or more non-contiguous parcel polygons share common ownership, they have been converted to a multi-part polygon; each multi-part polygon links to one or more assessor tax listings. OthLeg Feature Class - this feature class contains polygons representing other legal interests in land. 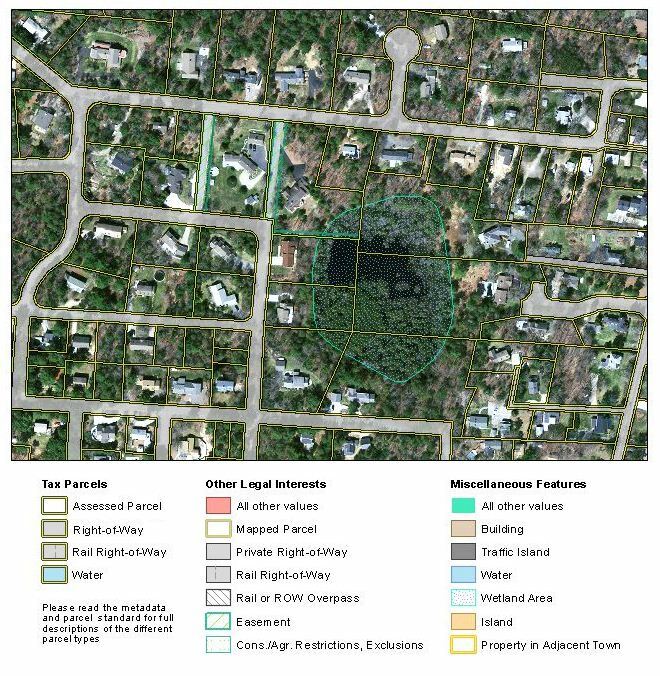 These other legal interests include representations of the “fee simple” property parcels that comprise the combined parcel polygons described above in the TaxPar feature class. In addition, other legal interests in this feature class include various types of easements. 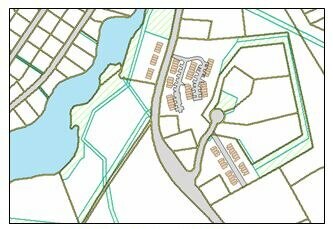 Misc Feature Class– this feature class contains map features from the assessor parcel maps needed to produce that tax map with the content that the assessor is used to seeing, such as water, wetlands, traffic islands, etc. Assess Database Table – this is a standard extract from the assessor database containing about 25 elements including property valuation, site address, state use code, owner, owner address, and a selection of information about the structure. This table includes the FY (fiscal year) field, which stores the vintage of the assessed value of the parcel. LUT Look Up Table – this is a look-up table for the MISC_TYPE attribute of the Misc feature class and the LEGAL_TYPE attribute of the OthLeg feature class. UC_LUT Look Up Table – this is a look-up table for state use codes found in the assessing extract. A relationship class has been built to link the TaxPar feature class polygons to the assessing extract database table, named L3_TAXPAR_POLY_RC_ASSESS. A spatial view (L3_TAXPAR_POLY_ASSESS_SV) was created that links the assessor records to the the TAXPAR polygons. 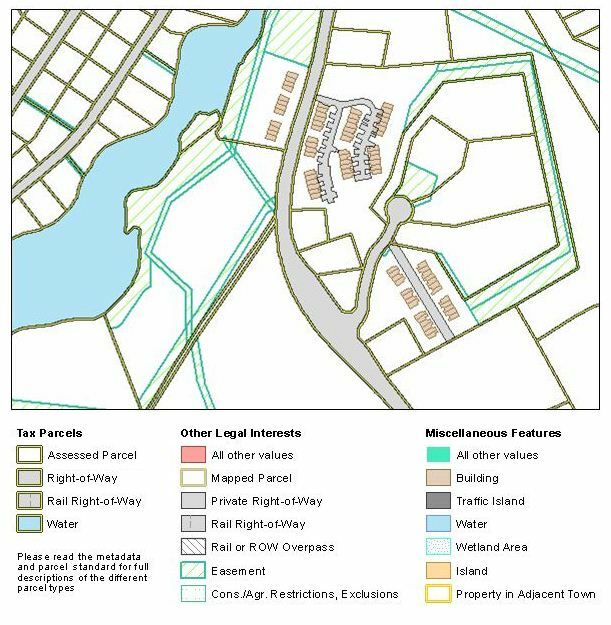 An export of this view, L3_TAXPAR_POLY_ASSESS, includes "stacked" polygons for features that link to multiple assessor records (such as condominiums); it contains all parcel polygons, except road and rail rights-of-way and water bodies, even if they do not have associated ASSESS records, and is used in Municipal Mapper and the Tax Parcels cached basemap tileset. Level 3 Parcel FTP Links, named L3_PARCEL_FTP_LINKS, stores URLs for each municipality's shapefile and file geodatabase downloads, plus the fiscal year of assessor updates and any notes regarding compliance with the standard. The source of the fiscal year column is the feature class L3_TOWNFY (this is exported from the spatial view L3_TOWNFY_SV, defined to use the view L3_TOWNFY_V and survey-based Towns polygons; L3_TOWNFY_V is based on the distinct FY from L3_ASSESS). 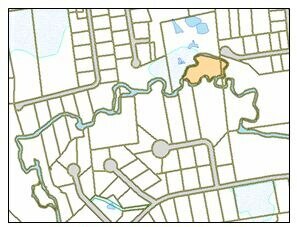 Assessor’s parcel mapping is a representation of property boundaries, not an authoritative source. The authoritative record of property boundaries is recorded at the registries of deeds and a legally authoritative map of property boundaries can only be produced by a professional land surveyor. Representation of Parcel Boundaries - Users of parcel data, which MassGIS has approved as meeting the requirements for Level 3 of its standard, may find places where the boundaries conflict with visible features on orthoimagery. This is common and reflects a variety of circumstances. Often the discrepancy between the tax map and the visible road right-of-way on the orthoimagery base map is correct, as roads are not always constructed the way they were shown on the original plan. Other factors accounting for discrepancies between the boundaries and visible features on the orthoimagery are buildings that may “lean” in the imagery because of camera angle, making them appear as if they are crossing parcel lot lines. Also, while rights-of-way ordinarily have a standard width, that is not always true. In fact, we have seen countless instances where right-of-way widths are irregular. Similarly, the fence, wall, or shrub line visible on the orthoimagery is not necessarily the property boundary. In some cases, houses are built so that they straddle lot lines. Also, while MassGIS' quality assurance process is extensive and rigorous, it is not perfect and it is possible that we have missed some boundary compilation or other errors. Municipal Boundaries - The standard requires that MassGIS’ representation of the official municipal boundaries be incorporated into the standardized assessor mapping. Checking for that is part of our QA process. However, there are discrepancies between municipalities where they share a boundary that follows a stream channel; without engaging the services of a surveyor, there is no way to determine where those boundaries are and we did not require that MassGIS’ mapping of that boundary supersede the boundary from the tax mapping. Also, MassGIS has allowed communities to represent the coastline as it is in their tax mapping. Finally, this requirement from the standard uncovered numerous discrepancies in municipal boundary lines that will require further discussion with the communities involved. Known outstanding boundary discrepancies include portions of the boundaries between the following communities: Andover-Lawrence, Lawrence-Methuen, Cohasset-Scituate, Attleboro-Rehoboth, Avon-Stoughton; Easton-Stoughton, and Dracut-Methuen. Assessing Data Extract - The assessing data extract is an “as is” copy of the records maintained by each assessor. There are errors and discrepancies. Assessing Data Match Rates - The standard sets very high requirements for the percentage of parcels that must match to an assessing record, as well as vice-versa. Full details are in the standard. However, these match rates were not always achievable. In some communities, assessors do not know who owns some properties. These are almost always small fragments of land with no structure or small lots in wetland or forested areas. The NO_MATCH attribute of the TaxPar feature class has been used to track these circumstances. Although much less common, there are also occasionally records from the assessing extract beyond the allowed percentage that do not match to a parcel polygon. For each community, vendors delivered an ESRI file geodatabase to MassGIS. MassGIS staff reviewed the parcel boundary mapping, identifying potential errors. Situations that were commonly called out in the boundary QA included lot lines running through structures, inconsistent right-of-way widths (unless the mapping was known to have been compiled from deeds and plans), discrepancies compared to visible features on the orthoimagery, and discrepancies relative to the official representation of the municipal boundaries maintained by MassGIS. Additional checks include: attribute names and domain values, consistency between “TAX” and “FEE” polygons included in the TaxPar and OthLeg feature classes, linking percentages from the parcel map polygons to the assessing data extract and vice versa, and review of situations where multiple tax records link to a single parcel and one or more of the tax records is not a condominium. TAXPAR_ID C 18 Populated where LEGAL_TYPE = 'FEE'. The values in TAXPAR_ID represent the LOC_ID values of the POLY_TYPE = 'TAX' parcel in the TaxPar layer that the OthLeg parcel is a constituent of. This should facilitate identifying the relationships between 'TAX' parcels in TaxPar and 'FEE' parcels in OthLeg. Please consult the Digital Parcel Standard for a better explanation of how these types of parcels correlate with each other. These data are current to state fiscal years 2010-2019. The specific date for each municipality is listed in the popup for each town in the download viewer and on the L3 Parcel Fiscal Year Status Map. From our discussions with companies that maintain assessor tax mapping for municipal clients, we know that maintaining Level 3 compliant data will be no more expensive than maintaining other forms of parcel mapping, presuming communities pay for printing of their own tax maps from the standardized version. We also have discussed the standard with the Department of Revenue’s Bureau of Local Assessment and the Bureau recommends that assessors maintain their mapping in compliance with Level 3 of the standard. For questions or to submit municipal data for inclusion into this dataset please contact craig.austin@state.ma.us. August 2014 - The first updates were released, for the following municipalities: Amesbury, Belmont, Boxford, Carver, Dunstable, Eastham, Georgetown, Great Barrington, Hawley, Ludlow, Marion, Newbury, Newburyport, North Andover, Peabody, Rowley, Townsend and West Newbury. December 2014 - 24 municipalities: Billerica, Blackstone, Boxford, Chicopee, Clinton, Dedham, East Bridgewater, Grafton, Holliston, Lakeville, Lowell, Middleborough, Millbury, Newton, North Adams, Northampton, Salisbury, Southbridge, Sturbridge, Swansea, Tewksbury, Tyngsborough, Waltham and West Bridgewater. April 2015 - 25 municipalities; most are FY2015 updates: Adams, Ashfield, Barre, Bolton, Buckland, Chelmsford, Deerfield, Dover, Dudley, Edgartown, Fitchburg, Hamilton, Lawrence, Mashpee, Methuen, Paxton, Plainfield, Plymouth, Quincy, Randolph, Reading, Rockland, Sandisfield, Southwick, and Walpole. June 2015 - 24 municipalities; most are FY2015 updates: Agawam, Auburn, Ayer, Bourne, Dartmouth, Dover, Easthampton, Gloucester, Huntington, Lanesborough, Leverett, Marion, Monson, New Braintree, Northborough, Oakham, Paxton, Shirley, Southampton, Stockbridge, Tyringham, Upton, Wales, Walpole, and Ware. September 2015 - 28 municipalities; most are FY2015 and FY2016 updates: Avon, Boylston, Chilmark, Douglas, East Brookfield, Eastham, Erving, Franklin, Gloucester, Hampden, Middleton, Monterey, New Bedford, Newton, Oak Bluffs, Palmer, Sheffield, South Hadley, Sterling, Sutton, Templeton, Tisbury, Tolland, Waltham, West Boylston, West Brookfield, West Stockbridge and Winthrop. December 2015 - 24 municipalities; most are FY2016 updates: Alford, Ashby, Ayer, Becket, Clarksburg, Gosnold, Hadley, Hatfield, Lenox, Leominster, Middlefield, Millbury, Millis, Monroe, Montgomery, New Marlborough, Peru, Savoy, Sturbridge, Tewksbury, Upton, Uxbridge, West Bridgewater, and Wilbraham. March 2016 - 12 municipalities; most are FY2016 and FY2017 updates: Ashfield, Clinton, Concord, Dennis, Great Barrington, Maynard, Nantucket, Plainville, Townsend, Washington, West Tisbury and Westwood. June 2016 - 16 municipalities; most are FY2017 updates: Abington, Belmont, Bernardston,Conway, Fairhaven, Florida, Hopkinton, Lexington, Milford, Orange, Revere, Richmond, Rochester, Rockport, Wareham and West Bridgewater. September 2016 - 33 municipalities; most are first time updates and are either fiscal year 2016 or 2017: Aquinnah, Ashland, Barnstable, Brimfield, Brockton, Cheshire, Colrain, Concord, Cummington, Duxbury, Easton, Gardner, Granby, Hinsdale, Holden, Holland, Malden, Mashpee, Melrose, Mendon, Nahant, North Brookfield, Peabody, Pepperell, Saugus, Southbridge, Waltham, Warwick, Wayland, Webster, Westborough, Whately, and Williamstown. December 2016 - 21 municipalities; most are first time updates and are mostly FY2017, with a few FY2016: Acushnet, Barre, Canton, Dalton, Dover, Easthampton, Essex, Freetown, Gill, Middleton, Millbury, Millville, Montague, New Salem, Newton, Rowe, Shutesbury, Sunderland, West Brookfield, Westminster, and Worthington. April 2017 - 43 municipalities: Adams, Andover, Ashfield, Attleboro, Belchertown, Belmont, Beverly, Brewster, Chelmsford, Cheshire, Colrain, Deerfield, Dennis, Dighton, Dudley, Easthampton, Fitchburg, Hampden, Huntington, Kingston, Lanesborough, Lexington, Lunenburg, Lynn, Mashpee, New Ashford, Northfield, Norton, Oak Bluffs, Otis, Pelham, Phillipston, Plymouth, Rehoboth, Royalston, Rutland, Sharon, Shelburne, Stoneham, Warren, Wendell, West Stockbridge, and Wrentham. July 2017 - 31 municipalities: Ashburnham, Auburn, Bridgewater, Buckland, Chesterfield, Danvers, Dracut, Egremont, Erving, Fall River, Hamilton, Holliston, Hopedale, Hudson, Marlborough, Milford, Millis, Monterey, North Adams, North Attleborough, Petersham, Plympton, Randolph, Stoughton, Sunderland, Swampscott, Upton, Waltham, Wenham, West Boylston, and Williamstown. August 2017 – 29 municipalities: Ashby, Becket, Bedford, Bernardston, Canton, Concord, Easton, Granby, Greenfield, Halifax, Harvard, Haverhill, Kingston, Mashpee, Mendon, Milton, Monson, New Braintree, Northfield, Southwick, Spencer, Stow, Templeton, Tisbury, Townsend, Ware, Westborough, Winchendon, and Woburn. September 2017 - 30 municipalities: Abington, Ashland, Barre, Beverly, Dalton, Essex, Everett, Foxborough, Holland, Hubbardston, Huntington, Lee, Lunenburg, Maynard, Nahant, Paxton, Pembroke, Provincetown, Rowe, Sheffield, South Hadley, Stockbridge, Sutton, Truro, Uxbridge, Warwick, Watertown, Wellfleet, Whately and Williamsburg. December 2017 - 18 municipalities: Acushnet, Brimfield, Clinton, Colrain, Douglas, Freetown, Gill, Middlefield, Oakham, Phillipston, Plainfield, Sandisfield, Savoy, Scituate, Springfield, Topsfield, West Tisbury and Weymouth. January 2018 - 22 municipalities: Arlington, Athol, Attleboro, Ayer, Charlemont, Dennis, Dover, Edgartown, Falmouth, Middleborough, Middleton, Orleans, Plainville, Shirley, Shrewsbury, Southampton, Southbridge, Sterling, Sturbridge, Tewksbury, Westminster and Weymouth. March 2018 - 24 municipalities: Ashfield, Boxborough, Chelsea, Dudley, Easthampton, Egremont, Franklin, Granville, Hampden, Hatfield, Holland, Holliston, Lanesborough, Lexington, Marblehead, Northborough, Southwick, Warwick, Wayland, West Stockbridge, Westwood, Whitman, Winchendon and Worcester. April 2018 - 24 municipalities: Ashburnham, Athol, Barre, Berlin, Chicopee, Freetown, Grafton, Hamilton, Hancock, Hubbardston, Lincoln, Lynnfield, Manchester, Milford, Millis, Petersham, Plymouth, Princeton, Rowe, Shelburne, Waltham, Wellesley, Wellfleet and West Bridgewater. May 2018 - 24 municipalities: Acton, Auburn, Becket, Belchertown, Bernardston, Blackstone, Chelmsford, Dartmouth, Douglas, Essex, Granby, Greenfield, Littleton, Mansfield, Mendon, Mount Washington, Reading, Shirley, Stockbridge, Sunderland, Tisbury, Walpole, Westfield and Windsor. August 2018 - 25 municipalities: Buckland, Burlington, Canton, Cheshire, Clinton, Colrain, Concord, Dalton, Fitchburg, Great Barrington, Holbrook, Lee, Lenox, Marion, Medford, Northfield, Pittsfield, Rehoboth, Seekonk, Sheffield, Somerville, South Hadley, Spencer, Stow and Westhampton. October 2018 - 40 municipalities: Agawam, Andover, Bellingham, Chatham, Deerfield, Dunstable, Easton, Erving, Hardwick, Harvard, Hawley, Holliston, Hull, Maynard, Middlefield, Millville, Monroe, Monterey, North Adams, Norton, Norwood, Paxton, Princeton, Rutland, Savoy, Sherborn, Stoughton, Sudbury, Templeton, Topsfield, Upton, Uxbridge, Ware, Watertown, Westborough, Whately, Wilbraham, Williamsburg, Williamstown and Winchester. November 2018 - 36 municipalities (11/2): Abington, Acushnet, Ashby, Barnstable, Belmont, Berkley, Beverly, Brookfield, Fairhaven, Foxborough, Franklin, Gill, Goshen, Hinsdale, Leicester, Leyden, Marlborough, Melrose, Middleton, Nahant, New Braintree, North Reading, Phillipston, Provincetown, Quincy, Saugus, Southampton, Sterling, Tyringham, Warren, West Boylston, West Springfield, West Tisbury, Weymouth, Worthington and Yarmouth. - 20 municipalities (11/26): Attleboro, Bolton, Brewster, Brimfield, Chesterfield, Gloucester, Hopedale, Hopkinton, Huntington, Ludlow, Manchester, Monson, North Brookfield, Pepperell, Raynham, Southbridge, Sturbridge, Swansea, Taunton and Townsend. December 2018 - 27 municipalities: Aquinnah, Arlington, Ayer, Bedford, Billerica, Charlton, Clarksburg, Dover, Eastham, Falmouth, Mashpee, Middleborough, Millbury, Montgomery, Newton, Norfolk, Northborough, Oakham, Peabody, Scituate, Sharon, Sutton, Truro, Tyngsborough, Wales, Westminster and Winthrop. February 2019 - 19 municipalities (2/6): Bellingham, Carlisle, Chelsea, Chilmark, Cummington, East Brookfield, East Longmeadow, Edgartown, Lancaster, Leverett, Lynn, Marion, Orleans, Peru, Tewksbury, Wendell, Westwood, Whitman and Wrentham. - 22 municipalities (2/28): Belchertown, Cheshire, Duxbury, Erving, Essex, Fairhaven, Freetown, Granville, Hudson, Lowell, Ludlow, Lynnfield, Maynard, Needham, Newburyport, Plymouth, Rochester, Rockland, Sandisfield, Springfield, Wenham and Whately. March 2019 - 28 municipalities: Ashfield, Barre, Carlisle, Dudley, Easthampton, Groveland, Hadley, Hampden, Holland, Huntington, Lee, Leominster, Lincoln, Middleton, North Attleborough, Reading, Richmond, Shelburne, Southwick, Stoneham, Tolland, Wareham, Warren, Webster, Wellesley, West Brookfield, West Stockbridge and Winchendon.